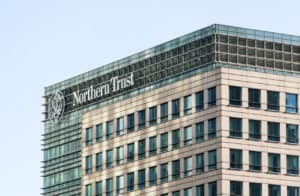 Northern Trust has promoted one of its senior fixed income traders to lead foreign exchange sales in the Americas, the latest senior appointment across its global currency trading business. Ernesto Arteta will take on the role of head of foreign exchange (FX) sales for the Americas region, overseeing a team of sales managers responsible for growing Northern Trust’s FX services to institutional investors and investment managers. Arteta has been with Northern Trust since 2007 and has more than 25 years of experience in sales, trading, structuring and portfolio management in fixed income and FX cash and derivatives. Most recently, Arteta was vice president of fixed income with a focus on trading global dollar and non-dollar denominated bonds. Arteta is the latest senior appointment for Northern Trust’s FX business as it looks to bolster product, operational and execution expertise in currency trading. In January, Paul Fyda was named head of local markets within the FX team, responsible for working with the FX trading desks globally and providing support in emerging markets to the firm’s institutional investors. In December, Northern Trust also confirmed that it had agreed to acquire FX algorithmic trading and liquidity aggregator provider BEx, after entering into a partnership with the company in 2016 to develop trading software for Northern Trust’s FX trading platform.